I sneak off to my closet studio with a cup of tea and The Private World of Tasha Tudor in today's video. Tasha Tudor was a talented illustrator and a lover of the Victorian era. She lived on a farm in Vermont and replicated an early Victorian life there. 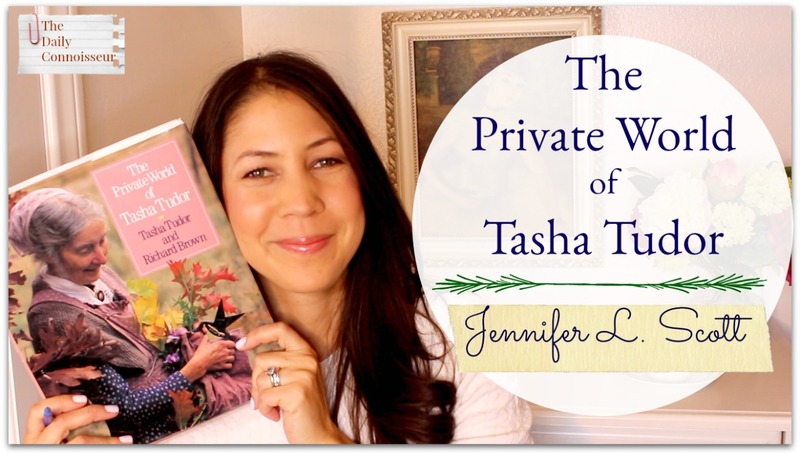 Join me as I go through this beautiful book and share Tasha Tudor's wisdom, bluntness, garden tips, and favorite quotes. What a beautiful and inspiring credo and what a wonderful and inspiring woman Tasha Tudor was. My earrings are by Ana Luisa NY Use code Jennifer10 for $10 off your order. The faux flower arrangement is by Horchow. 📍*NEW* Visit my Amazon page to see all of the items I recommend on the blog, including books, music, sleepwear, and more. 📍The Chic February Assignment is in full gear! I have really enjoyed hearing your updates. Check in with me in the comment section and let me know how your assignment this month is going. Thank you for your lovely response to my "Things Daily Connoisseurs Say" video on Monday. I had no idea how that would be received. My goal was to not only laugh at myself but to also make you laugh and bring a smile to your day. I think the mission was accomplished! I already have a part two that I'm thinking about. Thank you for your encouragement. Gypsy Liz & Co. wrote, "This is fantastic! 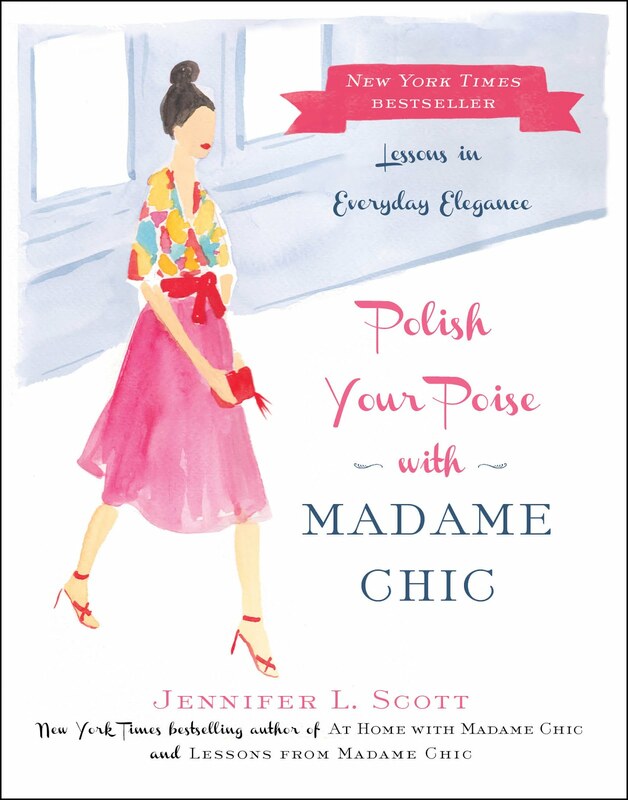 I laughed out loud multiple times, and must say: being able to laugh at oneself while still maintaining connoisseur standards is the height of Chic!" "There's nothing here to KonMarie. Don't you know I have a ten-item wardrobe?" OK, so you might not have ever uttered that phrase, but in today's video, Things Daily Connoisseurs Say, you might find some other phrases you've been known to say. I had a lot of fun creating this skit, which is a parody of our Daily Connoisseur channel, but also encapsulates so much of what we talk about every day. I hope today's video gives you a good chuckle. If you ever find yourself saying these lines, you are most likely a Daily Connoisseur! The apron I'm wearing in the video was a gift from my mother-in-law. I love it. So pretty! I would love to know... which phrase resonates with you the most? 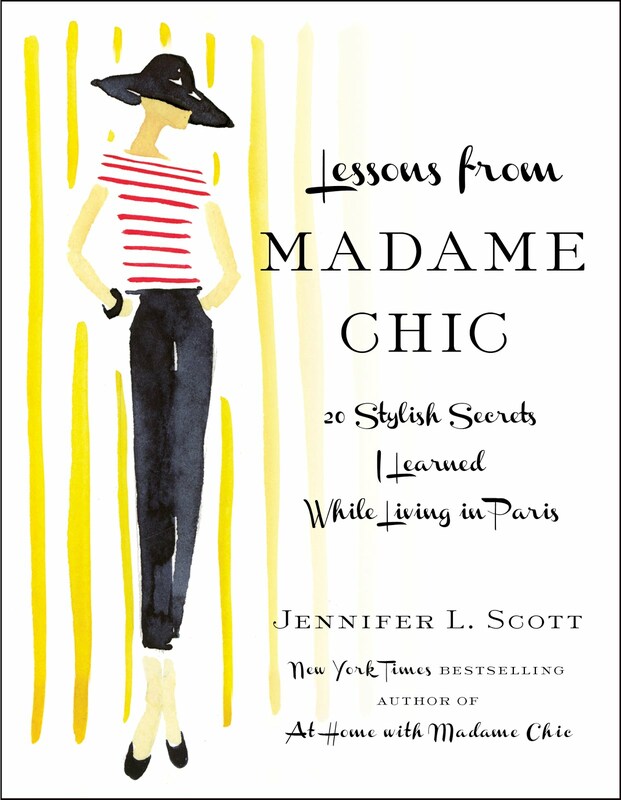 Jane H. writes, "I've been slowly trying to incorporate Madame Chic's wisdom into our household (recently married couple in early 30's). It's funny, because yesterday I was procrastinating writing a huge paper for school and cleaned the house for most of the day. For half of the day I wore pajama pants and a college T-shirt. I was listening to an audiobook and then your YouTube videos as I cleaned, and realized that I really should wear actual clothing. We rarely have people over, but its been my habit that I just wear ugly, comfortable but definitely not presentable clothing while at home- so that even if FedEx knocks, I would be too embarrassed to open the door. Why would I continue with this behavior? So, I simply put on a nice t-shirt and some shorts, nothing fancy, but something you can be seen in outside. I later even donned an apron while cooking. My husband came home and pleasantly laughed that I appeared domestic. This morning instead of wearing pajamas or a dressing gown I braided my hair and put on a summer dress (I live in FL, and it will be mid 80's today). Again, nothing fancy, but I feel good about myself. I will say that it takes some courage to get out of your comfort zone. Thank you for being a motivation and inspiration." Jane, how wonderful. I love your story. I went through a similar mind-shift and it's been life-changing! 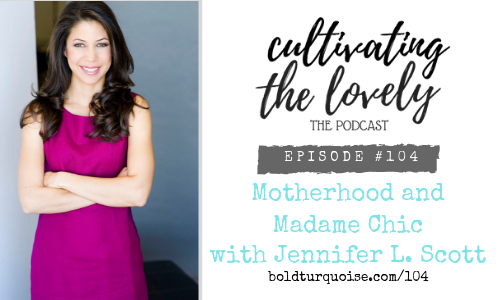 On last week's etiquette conundrum video, Inspired by Nikki wrote, "Good morning Jennifer! Oh no, the chamber pot! These are wonderful videos, I love them so much. Thank you both for doing these, it’s always nice to hear Ben’s take, he had me laughing with his response to the country club lady🌹﻿"
I would love to know... which phrase have you been known to say in today's video? Let us know and your comment could be comment of the week on The Daily Connoisseur. 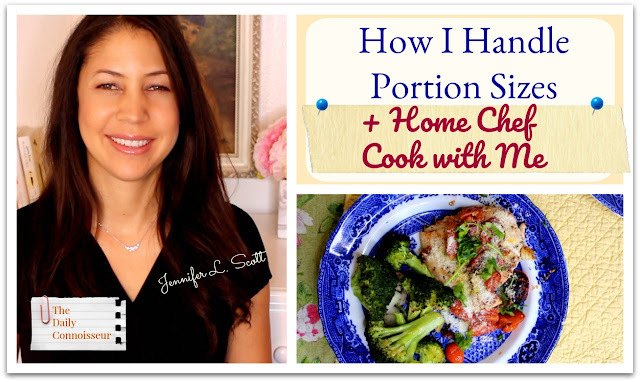 The last time I did a video sharing our Home Chef meals, a few people commented on my small portion sizes with interest. I've also had some requests over the years to discuss portion control and how I manage my meal portions. I have partnered with Home Chef on today's video. I'm going to show you four typical dinners and share what I ate and what was left over. This will give you a good idea about the portions I eat. This is the article on the evolution of the size of the Sunday roast that I discuss in the video. I don't do portion control on purpose and there isn't a particular rhyme and reason to why I choose to eat certain things over others, I am just naturally more full when I have certain types of dishes. If you recall, I did a video on antique dishes vs. modern dishes and portion control a few years ago when I was pregnant with my third child. I'll link that here for your reference. I'm using the four dishes we made with Home Chef earlier in the month to share my portion sizes. When I first tried out Home Chef, Ben was out of the country, but I knew he had to try it. Ben loved it more than I do and we have since become customers! It's been a big blessing for me because Ben enjoys making the meals so much he cooks all of them for me. So there are four meals a week now where I do not have to cook. It is working for us right now and I am really enjoying it! I hope you enjoy hearing my process in today's video. 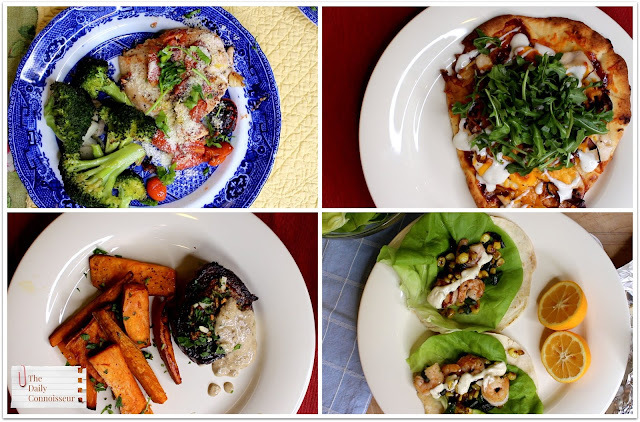 I also show you how to cook chicken paillard, steak moutarde, spicy southwest shrimp tacos, and bbq chicken ranch pizzas with arugula. I would love to know your philosophy on portion sizes. Do you struggle in this area? Or do you have any tips to share with us? Let me know in the comment section below and your comment could be chosen as comment of the week on the blog. FTC: Today's post is sponsored by Home Chef. Home Chef links are not affiliate. 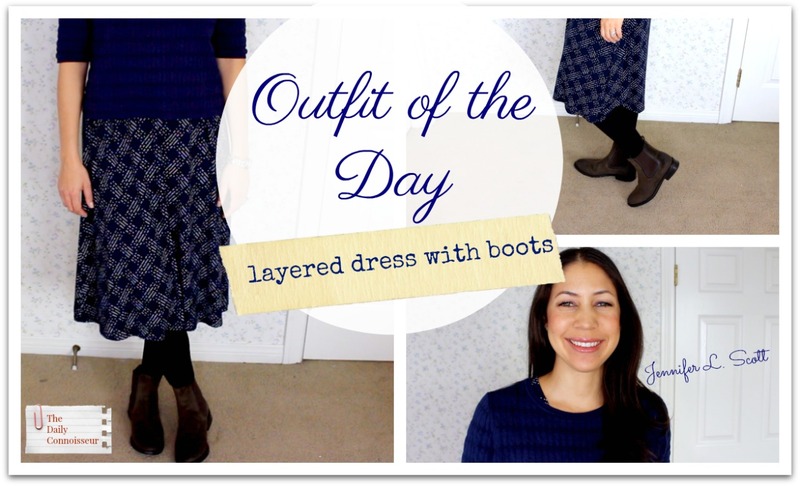 Today I'm sharing an outfit of the day with you. To keep my ten-item wardrobe fresh, I will sometimes layer cropped or short sleeve sweaters over my dresses. 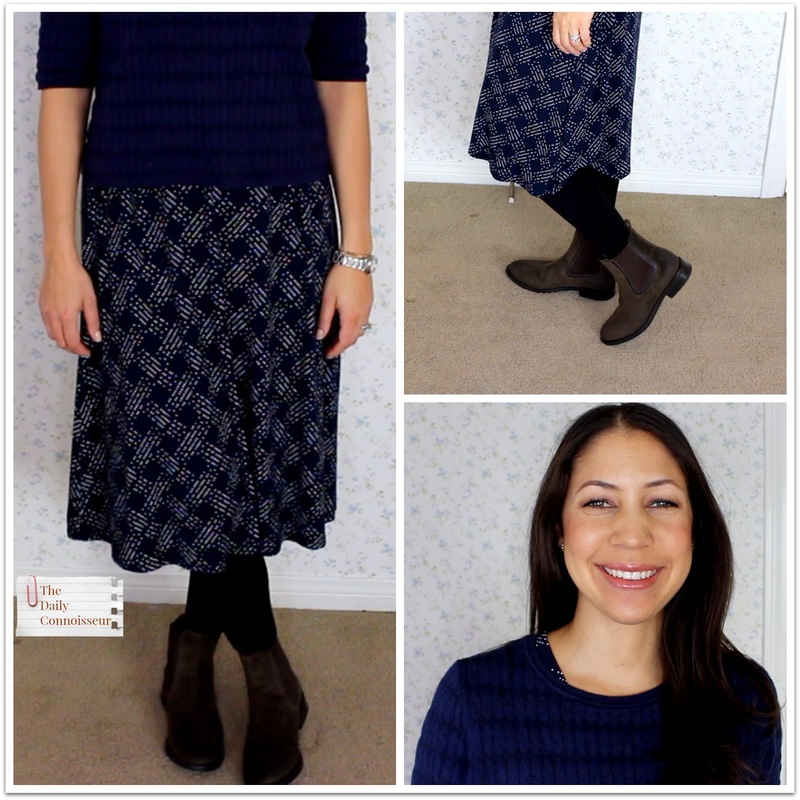 Today, I'm layering a navy cropped sweater over my favorite LL Bean dress. Because it is a cold and rainy day, I'm wearing my dress with fleece-lined tights and these new "Duchess" booties from the Thursday Boot Co. On my nails is Londontown's Full Monty , a wonderful opaque neutral. (Use code JenniferS for 25% off your order). Gold bracelet is by Ana Luisa Jewelry (use code Jennifer10 for $10 off). The cropped sweater I have in the video is over three years old. The closest short sleeve sweater I could find are these from Lands' End. They are not cropped, but they would work as a layering piece. Also mentioned in the video are my Blondo booties. Please let me know if you'd be interested in seeing a video about my boot collection. I hope you enjoy hearing about my outfit of the day in today's video. 📍The Chic February Assignment is in full gear! I have really enjoyed hearing your updates. Check out what others are saying in Saturday's check-in video. 📍Congratulations to Carly L. and Cassandra P. for winning the Fiona Ferris 30 More Chic Days giveaway! Allyson P. writes, "I’m with you on wearing real clothes, Jennifer. After retiring 3 years ago and wearing yoga pants for most of that time, I recently switched to wearing “real clothes.” Your FaceBook posts were the catalyst and I’m glad I made the change. I get dressed, do minimal makeup (red lipstick), and do my hair (also minimal with reliance on a great haircut). Then I do whatever I have to do." Hi Allyson, that's wonderful! I love hearing testimonials like yours. It really motivates me to carry on. I'm so happy for you and this journey! Labels: Blondo booties, cropped ankle boots, duchess boot, ladylike look, layered dress, LL Bean dress, OOTD, outfit of the day, Thursday Boot Co.
My favorite nail polish, Londontown, has released their beautiful spring 2019 collection called, Dream Scape. I know many of you love Londontown too! 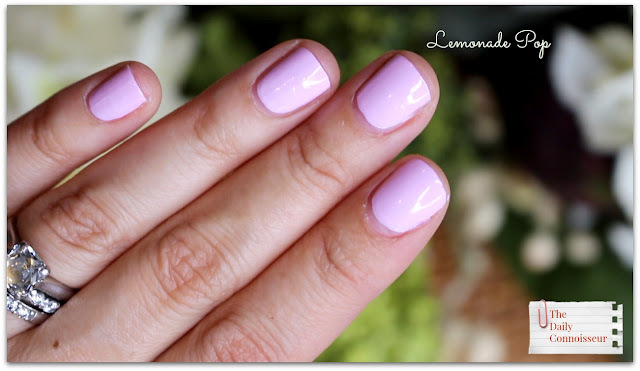 Their beautiful 9-free nail polish is free of many of the harsh chemicals that are found in traditional polishes. 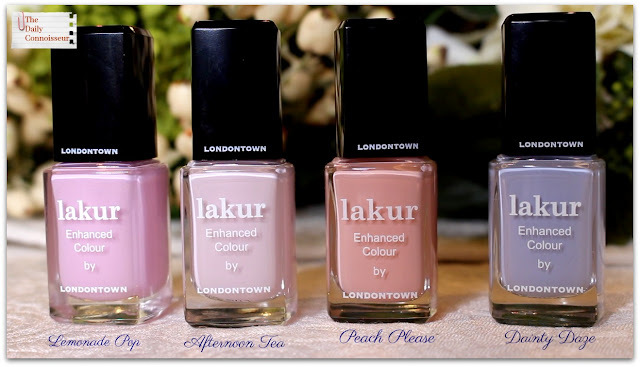 I find them to be the best performing nail polishes I've ever tried and I know many of you agree. 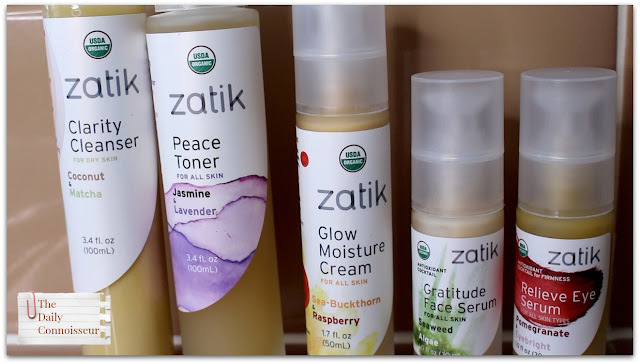 On Facebook, Cynthia F. writes, "I’m so glad I found this brand through your channel. 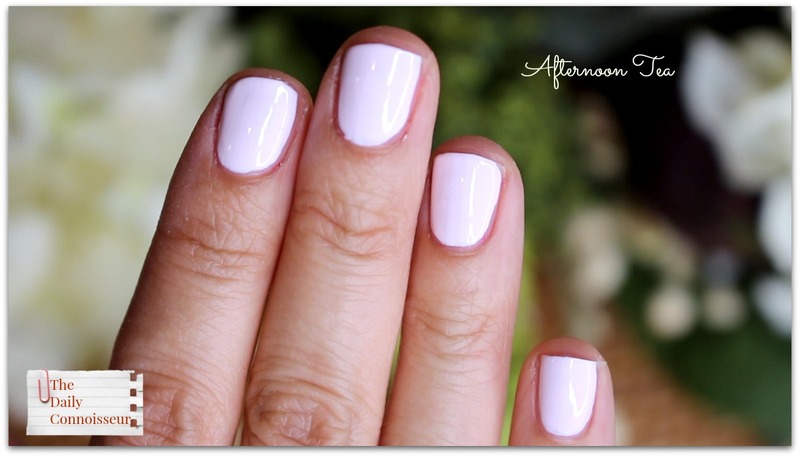 It has revolutionized my nail care routine, and I feel much more chic!" Cynthia, I totally agree! And my favorite part is that they do not have the strong chemical smell that traditional polishes have. In today's video, I'm swatching their spring 2019 collection for you. It's so dreamy. I love these colors. They also have a new serum that is so delightful. Many of you asked about a cuticle/ nail/ hand treatment and this one is just so good. 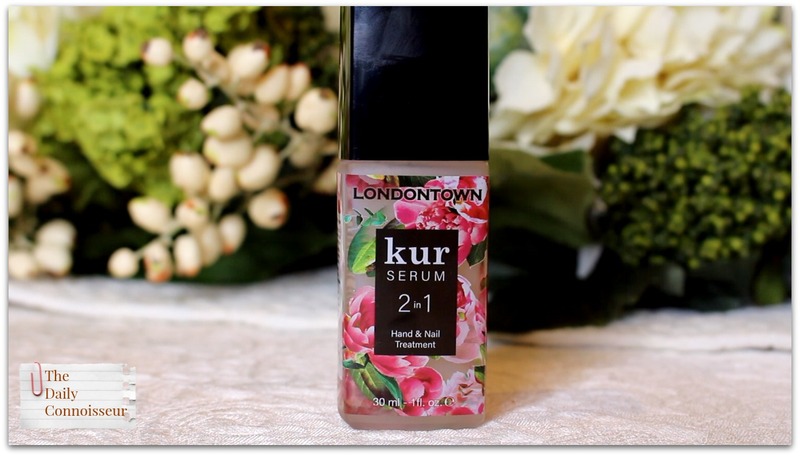 2 in 1 Hand and Nail Treatment Londontown’s 2-in-1 Hand and Nail Serum is a one-pump-wonder that instantly evens the appearance of skin tone to reveal radiant and glowing hands, while providing the nails with key nutrients for healthy and strong growth. I hope you enjoyed my spring swatching. Thank you to Londontown for sending me these beautiful shades. I would love to know what color is your favorite? I'll see you tomorrow for an outfit of the day video. Our last etiquette video was a big hit! So many of you tuned in to hear our response to your etiquette conundrums. Ben and I are back today with a video answering your private etiquette conundrums. 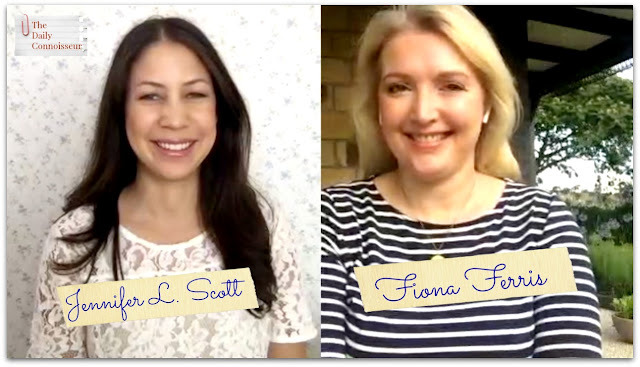 When I put out the call for you to send us your stories and questions, I mentioned that you could email me privately through my author website if you wished to remain anonymous in the video. I was surprised to see that I had no emails (I normally receive a notification when I receive a web site message). A few days passed and I decided to check the website internally. I had so many emails from you that it broke the system! *Please note: I have been receiving so many emails that I am not always able to respond. Please know that I love receiving your emails and read every one! So today, we are responding to your private etiquette queries. Everyone in this session will remain anonymous. I hope you enjoy our answers. As always, we love to hear from you! Please chime in with your input in the comment section below. Your comment could be chosen as comment of the week on the blog. 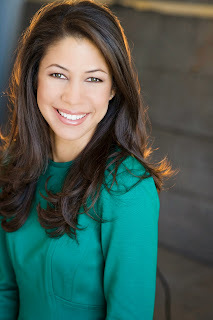 To see our previous etiquette video, click here. 📍Take part in my new monthly series, The Chic Assignment. February's challenge is here. Anonymous wrote, "Greetings Jennifer! 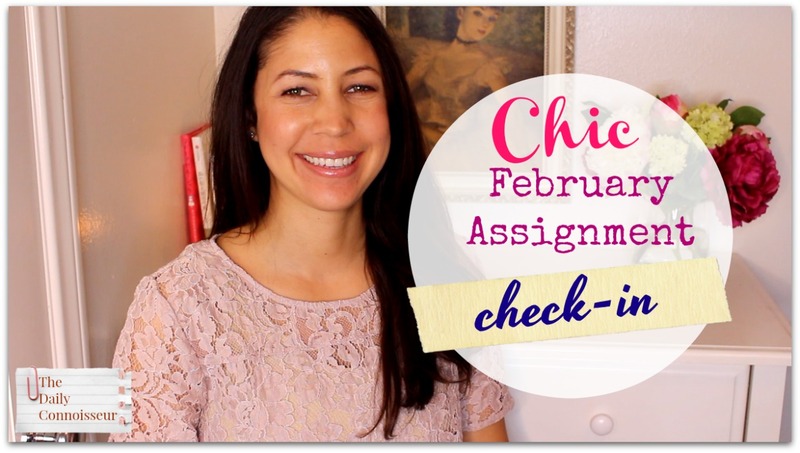 I'm so excited about these Chic assignments :) Went through my wardrobe to get rid of one item, and ended up cleaning it all out and donating several other things as well! And, this is random, but I love your hangers (seen when you show the dark blue dress). They're so pretty!" Thank you! 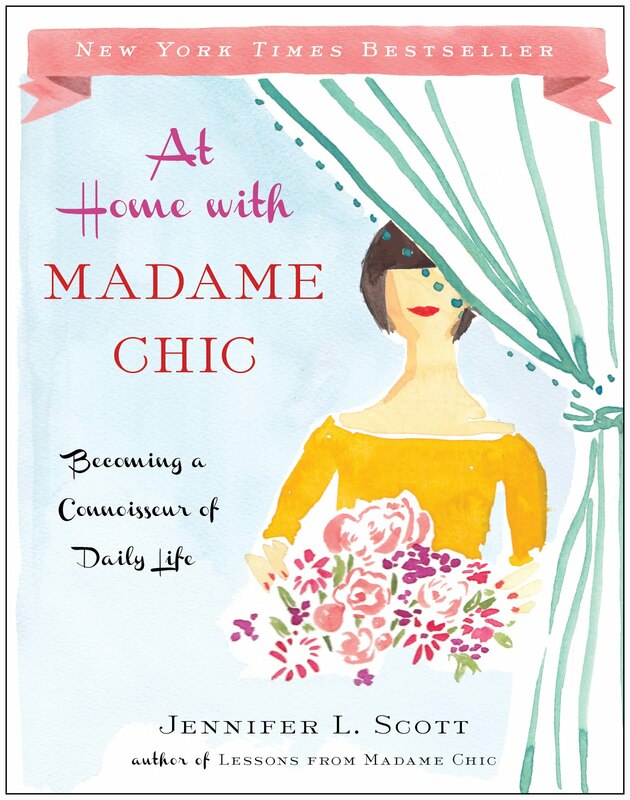 I love that the Chic Assignment motivated you to continue clearing the clutter in your wardrobe! 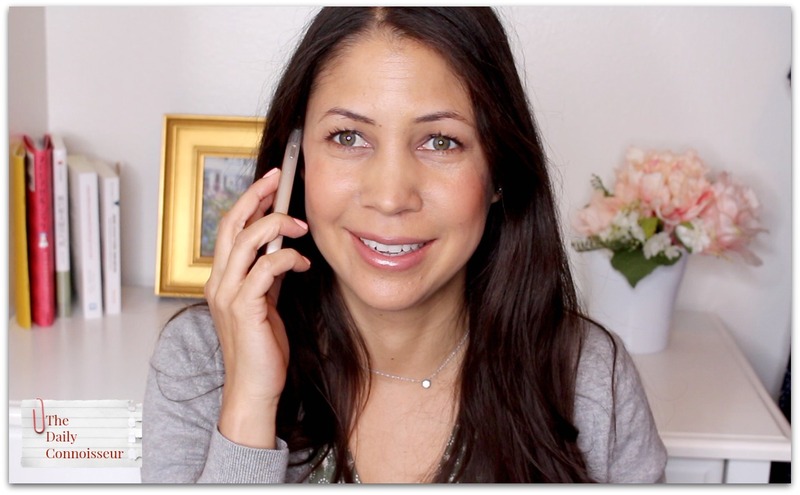 I would love to hear your thoughts on the etiquette matters discussed in today's video. Thanks for your support. Ben and I truly enjoy doing this series! 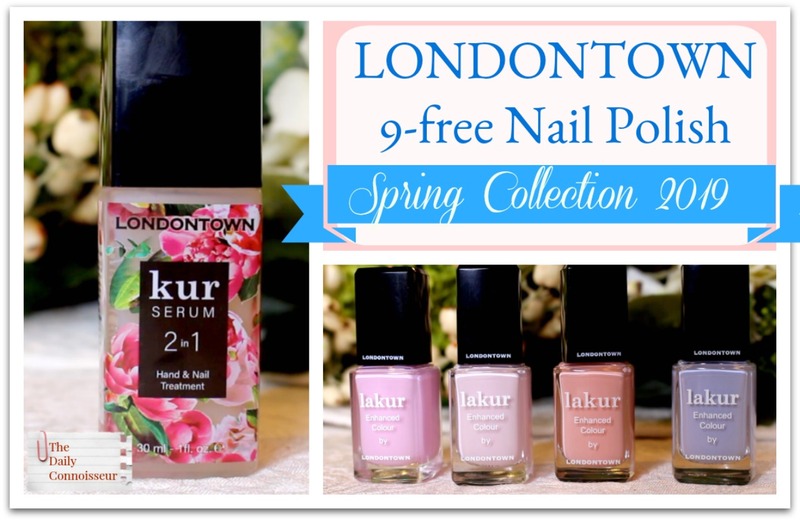 I'll see you on Wednesday for a Londontown spring swatching video. Hello everyone, I hope you're having a lovely weekend. I would love to hear how your Chic February assignment is coming along. Please leave your comments below with your updates. I love to hear from you. In today's video I share my updates with you. What strange thing do I do when listening to the Beethoven Sonata? What is the one piece in my ten-item wardrobe that isn't working for me? What new natural find do I have? What have I been reading? Watch for more. Mentioned in today's video: this is my faux flower arrangement, my candle, the LL Bean dresses (these are the new ones for spring), shampoo bars, conditioner bars, and The Private World of Tasha Tudor. FTC: This post is not sponsored. This post contains some affiliate links. 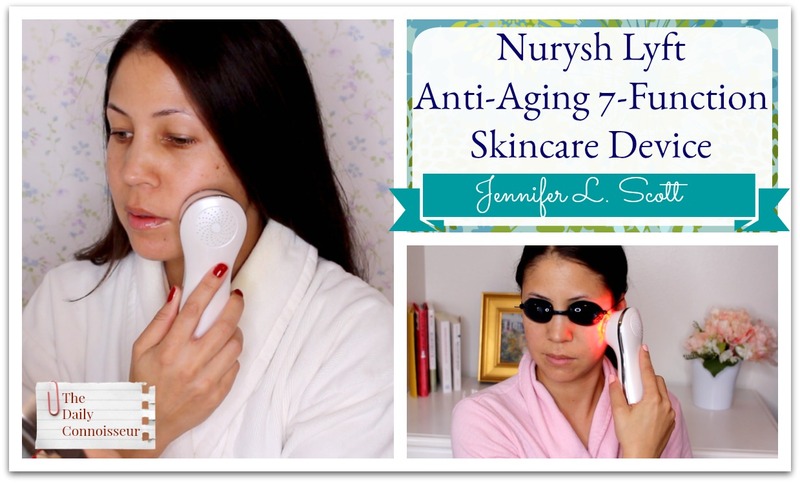 Our skincare week continues as I try out the Lyft, a 7-function anti-aging device by Nurysh. 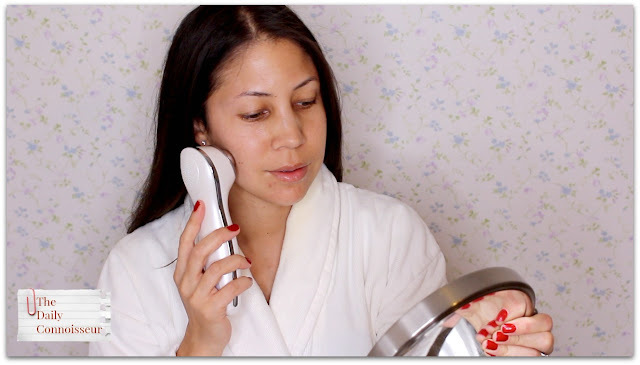 When I reviewed the Clarisonic device many years ago many of you found my extended reviews helpful. Today's review is similar to that, but I'm trying out this new technology. Today's video is sponsored by Nurysh. They sent me the Lyft to try and I used it over a period of three weeks, which I catalog in today's post. I've been generally happy with my skin lately. As I mentioned in yesterday's skincare review, my skin is the best it's ever been! I used to suffer from acne and unevenness, but with the combination of natural skincare, and taking better care of my skin, I am finally seeing great results. Even though I have been pleased with my skin, I was still interested to see if the Lyft could do anything for me. The Lyft is a really unique device. It has seven different functions and many of the functions can be combined. Here are the functions: Cleanser, deep cleanse, nutrition, nutrition plus, anti-aging, anti-acne, and face lifting. My favorite functions are the cleanser, and the face lifting massage. 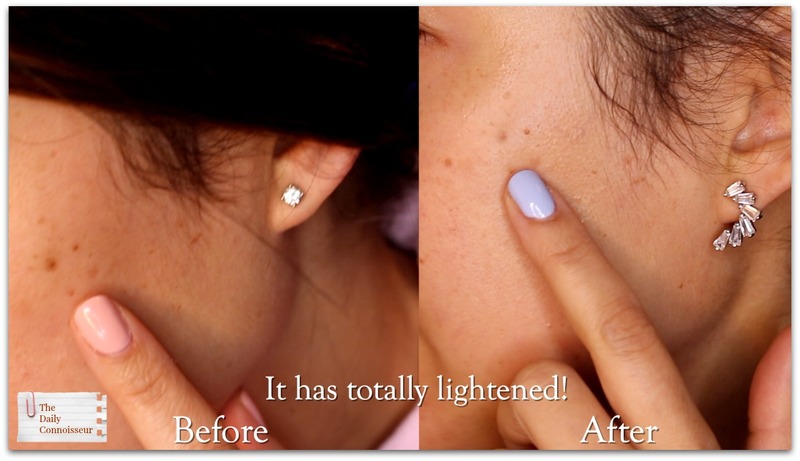 The Anti-aging function was what I used when treating my dark spot (see below). Here is more information from their website. Galvanic technology is a microcurrent that works to improve blood flow and lymphatic drainage in the areas it is applied on. Microcurrent originated as a spa treatment for facial contouring, toning and firming of aging skin. Most remarkably, I noticed that the Lyft has started to break up a dark spot I've been dealing with on my cheek bone. See the before and after from a period of using the Lyft for three weeks. All in all, I really enjoy using the Lyft and continue to use it on a regular basis. If you have the budget for it and are interested in at-home anti-aging skin treatments, definitely consider the Lyft. FTC: This post is sponsored by Nurysh Lyft. All opinions are my own. Links are not affiliate. Happy Valentine's Day, everyone! Welcome to the skincare weekend on The Daily Connoisseur. Today, I'm reviewing four different natural skincare lines for you and tomorrow I test out a new technology anti-aging skincare device. I have been working on this skincare feature for the past few months, trying out different natural skincare lines to share with you. The lines I'm featuring today have different price points, and different features. All are natural, some more than others. Two lines are organic and three of the lines feature anti-aging benefits. I have used each of the lines for a minimum of three weeks straight (I started this back in November) to be able to report my findings to you. Let's get started. Below, I am sharing pictures and information on the products from the manufacturers. For my opinions and insight, be sure to watch today's video. 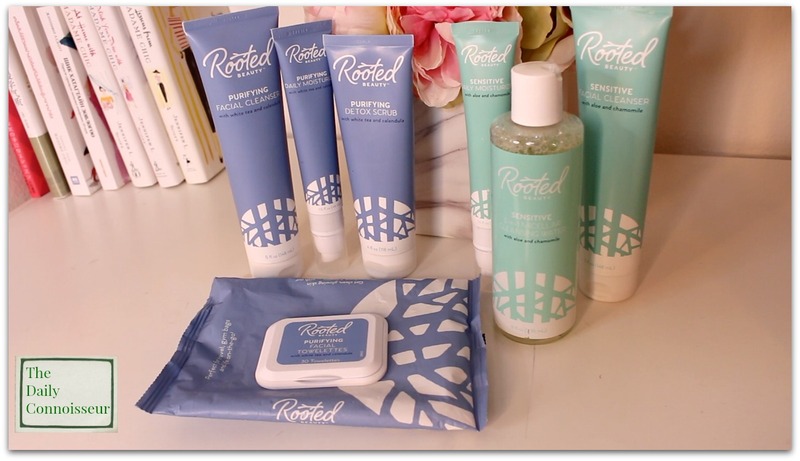 Rooted Skincare All of my Grove Collaborative ladies, this affordable natural skincare line is only available at Grove right now. The Complete Purifying Collection Clears pores without harsh ingredients. This complete collection forgoes parabens and leads with plant extracts. Formulated for oily and combination skin types. Paraben Free and Sulfate free. I really enjoy the scrub in this line as well as the cleansing cloths. Rooted Complete Sensitive Skin Collection Soothes redness and irritation with plant-based ingredients for smooth, silky skin. From the lightweight cleanser to the French-inspired cleansing water, each product is professionally formulated for reactive skin types. No parabens or sulfates. This is a very mild and gentle line, perfect for those with sensitive skin, who want a natural line, but aren't looking for major anti-aging benefits. This is a wonderful line. My favorite product is the glow moisture cream, which is truly excellent and makes the skin appear as though it's glowing. Clarity Cleanser Coconut & Matcha Gentle facial cream cleanser removes impurities for vital and healthy skin. Peace Toner Jasmine& Lavender Refreshing, comforting, relaxing and soothing toner promotes clear facial complexion. 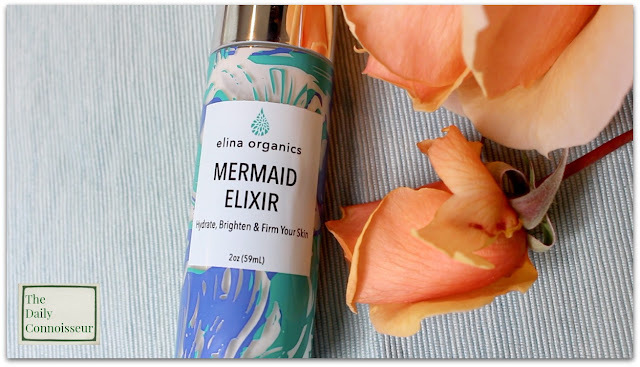 This toner can be a wonderful prelude to a peaceful night rest. Glow Moisture Cream FOR DRY SKIN with Sea-Buckthorn & Raspberry - Stimulate your skin’s wonderful prelude towards youthfulness and revitalizing look. Promotes smooth skin feel, softens visible fine lines and wrinkles with botanical oils and extracts. Delivers deep hydration while leaving the skin without a greasy feel. Gratitude Face Serum Seaweed & Algae Delightful sea+earth mixture is designed to foster a grateful and youthful skin. Improves and softens the appearance of wrinkle lines while provides needed daily hydration. Relieve Eye Serum Pomegranate & Eyebright Antioxidant Cocktail Rekindle and elevate youthfulness around thin areas of the eyes. Lightweight formula absorbs quick to smooth and soften the appearance of wrinkle lines and to ease puffiness under the eyes. Pellu natural beauty (use code JENN20 for 20% off your order) I love the Pellu line. It used to be called Nudu. They have had a re-brand and also reformulated their already great products. I sense a lot of anti-aging performance from this high-end line. The moisturizer here is the priciest per ounce. If you have the budget for this line, it is great. I have listed the individual products below, but I recommend you buy the whole system as it is always offered at a big discount if you buy the bundle. In combination with my code for 20% off (JENN20) the system becomes more affordable. Pellu Visionary Cleansing Cream is so relaxing, you’ll have a serene glow to match your clean, dewy looking skin. Our key actives are decadent & pretty. Peach, camellia, meadow foam & jojoba oils are rich in omega fatty acids. Perfect to moisturize, condition, & soothe your skin. With aloe vera juice, pomegranate & vitamin E. Your skin will feel clean, supple & soft. Best for normal & dry skin types. Pellu Serene Liquid Toner is alcohol free & pH balanced. It finishes the cleansing process & hydrates your skin before moisturizer. For peace of mind, this NZ beauty tonic contains traditional, skin loving remedies – manuka honey, kanuka, totara, oat, cucumber & linden flower. For all skin types in need of tender, loving care. Pellu Passionate Beauty Moisturizer is made with actives that sing to your skin: white tea, green coffee, vitamin E and Australian finger limes. Gorgeous oils of passionfruit, peach and jojoba smooth away dryness and fine lines. An energizing cream best for normal to dry skin. The konjac sponge is a simple yet astonishingly effective beauty secret from Asia that exfoliates and cleanses pores without irritating or scratching your skin. Made from 100% organic konjac vegetable fiber. Suitable for all skin types including sensitive skin. Pregnancy safe. Pellu Generous Hand & Body Cream nourishes your skin, leaving it soft & silky smooth to touch. Mango butter and peach kernel oil smooth and condition. Blackberry extract and vitamin E provide antioxidant benefits. Aloe vera juice hydrates. Pampering moisturizer for all skin types. Use code JenniferS for 25% off. I hope you enjoyed the reviews in today's video. 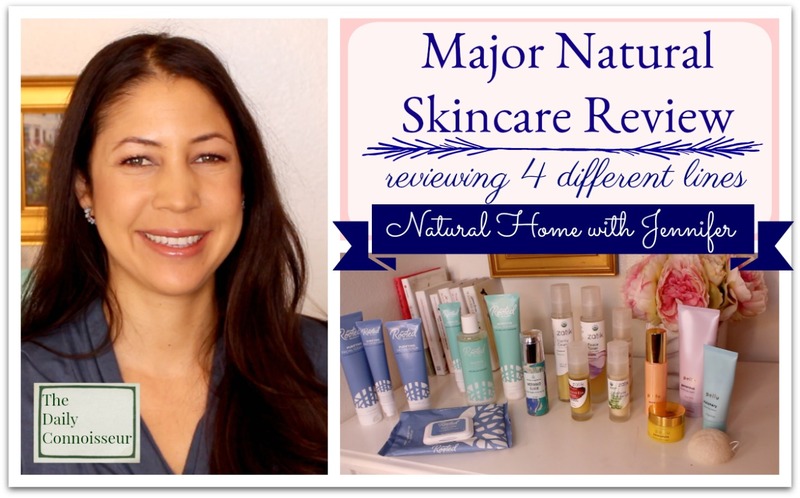 If you try any of these skincare lines, please let us know how you liked them! 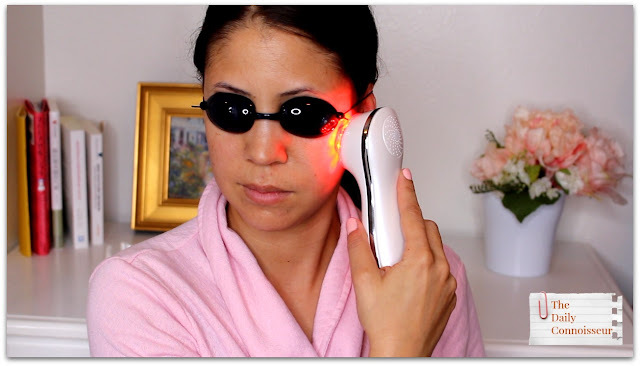 I'll see you tomorrow for another skincare video where I try a new anti-aging device. See you tomorrow!